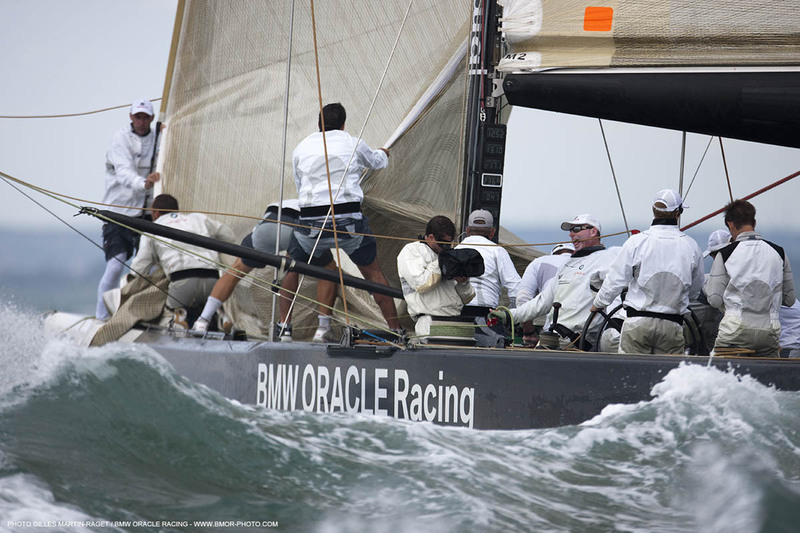 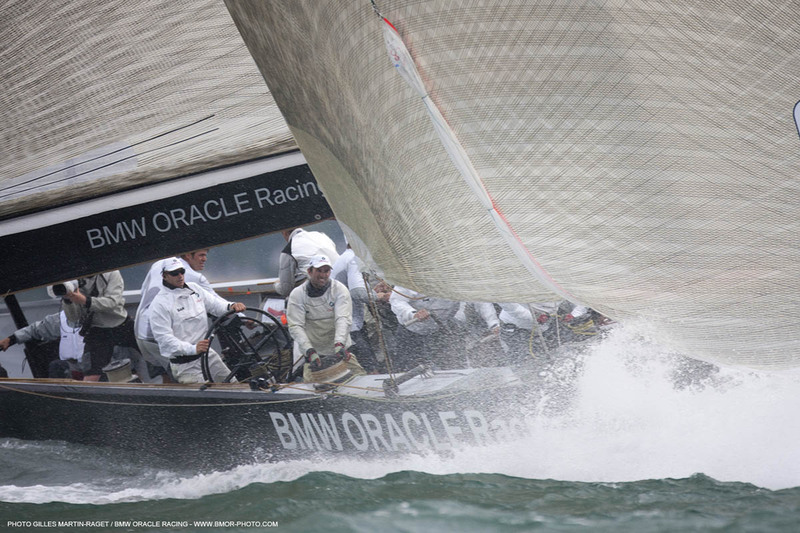 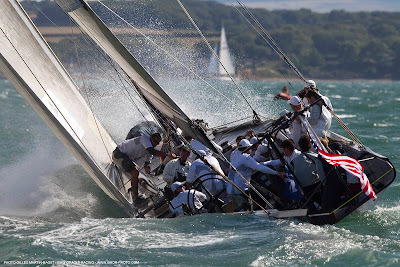 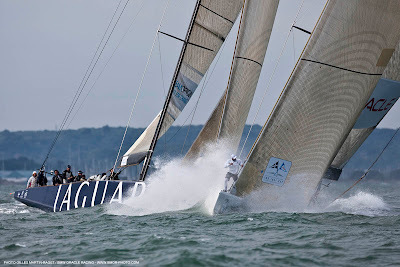 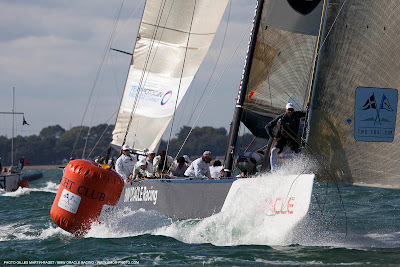 BMW ORACLE Racing dropped two heats today to TEAMORIGIN on the first day of The 1851 Cup, a one-off match racing regatta between the teams in BMW ORACLE Racing’s two V5 America’s Cup Class sloops. In Race 1 BMW ORACLE Racing skipper Jimmy Spithill of Australia took the right side of the racecourse and won a tacking duel up the first leg to lead at the first windward mark (below) after a leg of 1.2 nautical miles. 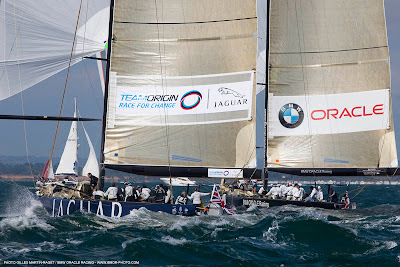 The two crews went through the leeward gate together, each taking opposite sides, and up the second windward leg TEAMORIGIN opened a lead to on the right hand side. 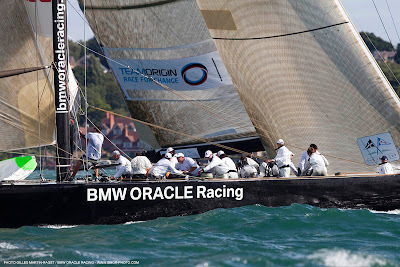 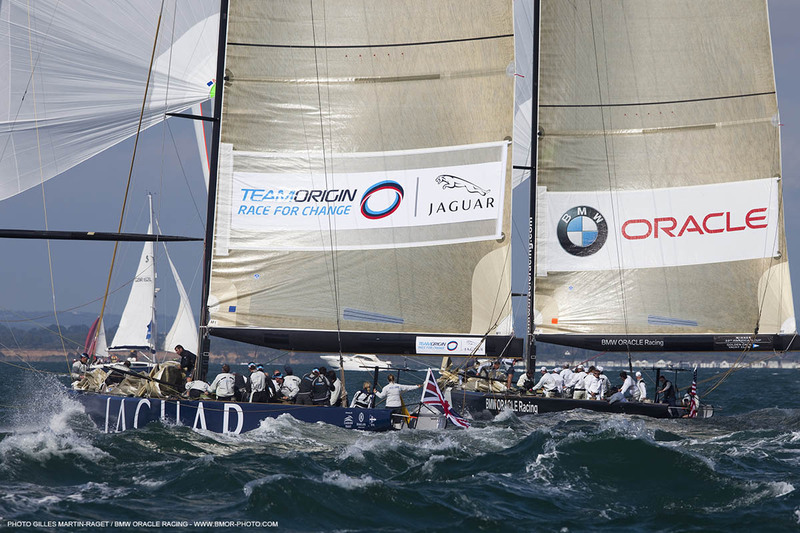 The BMW ORACLE crew was tight on TEAMORIGIN’s lee bow trying to force them over the start line early, but instead the westerly flowing tide swept BMW ORACLE over the line early and handed the British a sizable advantage.